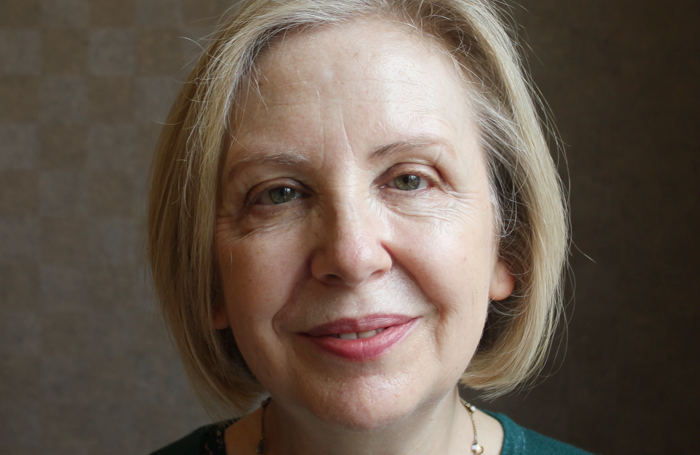 Lyn Gardner has been named the most trusted reviewer by The Stage readers, as part of a survey citing lack of diverse writers as the biggest issue facing criticism’s future. Nearly one in three respondents to an online survey by The Stage voted greater diversity as the one thing that would most improve the critical landscape in British theatre, with more space in mainstream publications and more regional coverage also regarded as key issues. 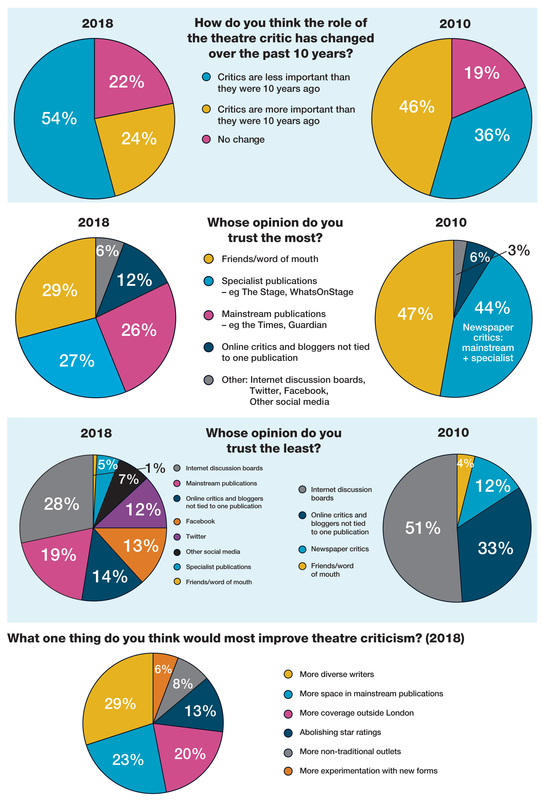 The survey, of about 350 people, repeated similar research carried out by The Stage in 2010, when 89% said they thought critics played an important role. In the most recent survey, 87% of respondents said they believed critics play a “crucial” role in the industry. The survey also asked respondents if they felt the role of a theatre critic had changed in the past 10 years. More than half (54%) said critics are less important than they were a decade ago. In 2010, 46% said critics were less important than a decade before. Answering whether theatre critics will be important in 10 years’ time, 72% said yes, compared with 80% in 2010. The survey also addressed the challenges facing theatre criticism in the UK. Improving diversity among writers was identified as the most important issue, receiving 29% of the votes. Giving more space to theatre reviews in mainstream publications and increasing regional coverage were selected by 23% and 20% of respondents respectively. When asked which critics they regularly read, 70% selected Gardner. Other popular choices included Michael Billington, Mark Shenton, Natasha Tripney and Matt Trueman. Gardner also topped the list of critics whose opinion was trusted the most, taking a 29% share of the vote. This is comparable to the total percentages gained by the top three critics in 2010 – Billington (12%), Gardner (11%) and former Telegraph critic Charles Spencer (8%). The survey follows high-profile cuts to arts coverage at national newspapers since 2010, notably Gardner’s contract to review for the Guardian, which was cancelled by the publication in May to widespread disapproval. She attributed the 54% who consider critics less important than they were 10 years ago as partially being down to the rise of blogging and the decline in mainstream media coverage. “I do think the industry has to wean itself off its over-reliance on old-style national press coverage and look to other sources of criticism, digital and other,” Gardner said. Which critics do you regularly read? Respondents could choose as many answers as they wanted for this question. In 2010, Michael Billington took the top spot, with 48% of the vote. This was followed by the former Telegraph critic Charles Spencer (41%), and Lyn Gardner (36%). The top six also included former Times critic Benedict Nightingale, Henry Hitchings and Mark Shenton. There were 10 further critics on the 2018 selection list, and respondents could also add other names if they wished. Which critic’s opinion do you value the most? Respondents were asked to choose only one writer for this question. In 2010, Michael Billington came top with 12%, Lyn Gardner second with 11% and Charles Spencer third with 8%. There were 15 further critics on the selection list, and respondents could also add another name if they wished.